What would you do if you had just minutes to flee your home before it was engulfed by flood waters? That's a question thousands of people in Morgan Hill are trying to answer because that possibility could become reality if Anderson Dam were to fail in an earthquake. 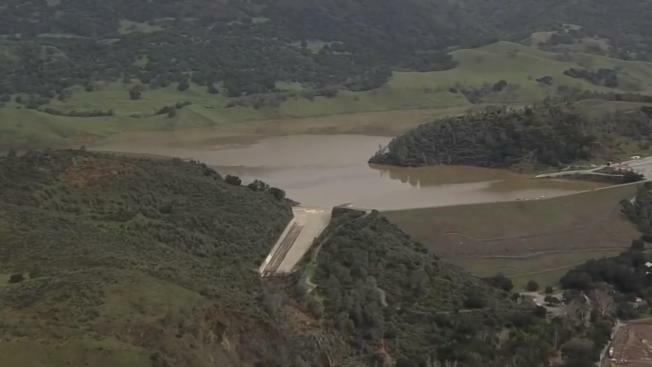 Studies show the dam could have trouble surviving a magnitude-7.2 earthquake on the Calaveras Fault. On Wednesday night, the city is helping those people prepare for that worst-case scenario by providing an evacuation plan. Resident Sally Casas, who lives three miles from the dam, is working with her neighbors to prepare together. "So you can help others that might need help in getting out in time," she said. Flood maps show that if the dam ever fails, it would send a wall of water from Santa Clara County's largest reservoir. Flood waters would likely reach as far away as San Jose. Casas' neighborhood, as well as downtown Morgan Hill, would be underwater in 23 minutes. "It's hard to say which direction I'd drive in," Casas said. Morgan Hill’s evacuation plan is a rough guide to where emergency crews will direct people. "In the background, we're always preparing for emergencies and considering the possiblities," city spokeswoman Maureen Tobin said. If the dam fails people should head for high ground, the plan says. If the threat after a major earthquake is not immediate, people should head north. "The water flow, based upon those maps, indicates it wouldn't happen as rapidly going north as it would going south," Tobin said, referring to the potential flooding. Some already are preparing for the worst, and thinking not only of themselves. "I'd try to help as many people as possible," resident Esther Archuleta said. "That's about all I can think of." Tobin says notifications of any dam failure would come from local media, Morgan Hill's social media and email, first responders or from AlertSCC. She says people should sign up for Santa Clara County's emergency warning system on the county's website.